So you decided that enough is enough! You need your sleep and sanity back! And the only way to do that is by creating some structure in your baby’s sleep routine. Well baby sleep training will do just that. You don’t have to think of sleep training as some harsh means of getting your baby to sleep. And you certainly don’t have to hear your baby cry all night. In fact, there doesn’t have to be much crying at all. There are many things you can do to help your baby get to sleep, and stay asleep. The best place to start is a solid, and consistent bedtime routine, at a decent hour. This will help teach your baby predictability. The more your baby knows what’s coming, the more likely she will accept it. You can start with something simple like a bath and reading a book. It doesn’t have to be anything complex. As long as it is the same routine, every night, at the same time. Eventually your baby will get use to this routine and know it’s time to go to bed. Create a good sleep environment. This may include things such as: room darkening shades, swaddling (if your baby is young), comfortable jammies, proper room temperature. Anything that helps make your baby as comfortable as can be, to promote a restful night’s sleep. The next thing is a biggie. I always teach parents to put their baby down to sleep “drowsy but awake”. This may be a little difficult, but it is essential to getting your baby sleeping through the night. Your baby has to learn the skills to fall asleep independently, so that she may do the same when she wakes in the middle of the night. A baby that falls asleep by rocking or nursing, will expect the same thing when she wakes at night. Since babies have many short sleep cycles, they wake a lot. So I’m pretty sure you don’t want to keep running in your baby’s room to rock or nurse her back to sleep all night. Maybe an occasional wake up, sure. But if you are up all night, helping your baby get back to sleep, then neither of you are getting any good sleep. It’s important to put your baby down to sleep awake. The next important step is to find a baby sleep training method or program that works for you and your family. 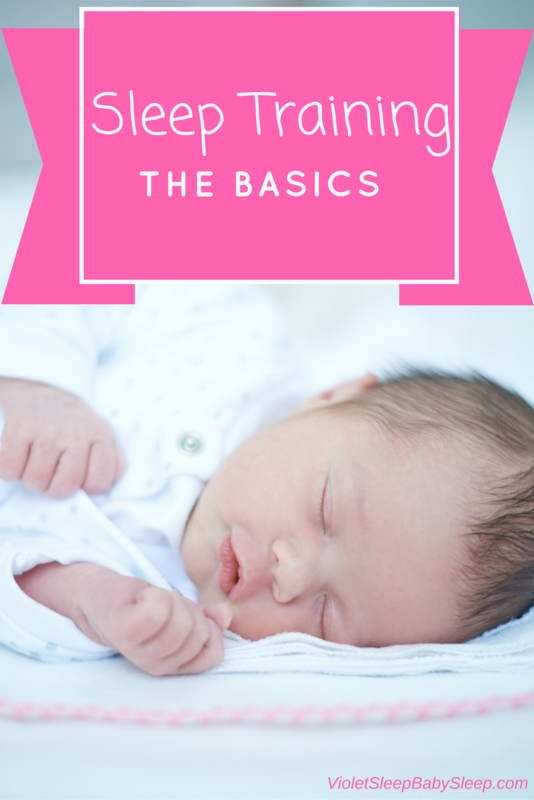 Sleep training is not easy, and neither is teaching a baby to fall asleep on her own. It’s going to take some work and sometimes you are going to need help and guidance, there’s nothing wrong with that! There are many different programs and guides available to choose from, I know because I have read them all! Some involve letting your baby cry, others involve little or no tears. To make a decision on which one is best for you and your baby, ask yourself these questions? Are you comfortable with letting your child cry it out? Or would you be more comfortable with going in to comfort your baby? Think about how you want to approach sleep training, because if you want quick results with the least amount of disruption to everyone’s sleep, it’s best that you stay consistent. Trial and error only prolongs the process. Have a set plan, and just go for it. And I can certainly help with this! If you would like individual help based on your baby’s unique sleep situation I offer personal help. View package options here. The last, and most important piece of advice I can offer, is to be consistent and don’t give up! Whichever program or method you choose, no matter how hard it gets, and how badly you want to give up, stick to it! If your baby takes and hour to fall asleep the first night and 50 minutes the next, that’s progress. Take every day at a time, don’t look too far ahead and hope your baby is going to be sleeping through the night within a couple nights. Sleep training takes time, patience, and commitment. And think about what your poor baby is going through, this isn’t easy for her either. Your baby wants to be able to just fall asleep and stay asleep just as much as you want her to. It’s a process, you have to go through together. If your lucky, you can sleep train your baby in less than a week, but for most, it’s going to take a bit longer. It’s not easy, but I promise you the uninterrupted and blissful night’s sleep, makes it all worth it in the end. Good luck, happy sleep training! For more help and information on baby sleep training and how to get your baby to sleep well, please take a look at my Personal Consultation Packages. 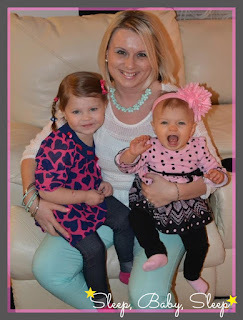 I would be glad to help your little one sleep through the night! Learning the skills to fall asleep independently is one of the most important steps for a baby to make – great point! 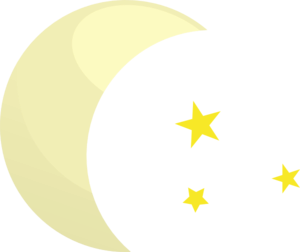 Having a bedtime routine helps especially when a sense of calmness and relaxation is incorporated, ie: dimming the lights, turning off the television, etc. Thank you for this tip. I will definitely try these methods! Having trouble with 24 month old. Since 4 months old she has put herself to sleep happy (talking/singing) and slept through the night 12 hours. Just the past month she is waking at night and wont go back to sleep. I don't know what to do and Im so tired…pregnant with baby number 2. Any advice? Oh and shes not sick or anything. We recently moved but that was almost 3 months ago and this problem just started this month. Sounds like a regression, you'll have to help her get back on track by letting her know what is expected at bedtime. Please let me know if you need my help. Good luck! My daughter is 2.5 years old and we gave her dummy to the easter bunny, she was not 100% on giving it away but we tried anyway! for the 1st 2 weeks it was fine and now she screams herself to sleep every nap time and night time for up to 1.5hours. She screams this much that she nearly makes herself vommit.. Im not sure what to do she has always been a great sleeper and slept 12 hours never had to rock her or anything it was just go in put her down and she would go to sleep on her own! I dont know if i should give her back the dummy even though its been a month and she doesnt ask for it at all but i can not get her to settle herself to sleep. Every night she wasnts either my husband or myself to sit with her and thats fine but you might be in there 2 hours some nights which isnt working as we have a 1 year old as well! HELP im not sure how to go about it…. Great tips here! Thanks for sharing with us! My baby is nearly 10 months. She is a great sleep and always has been. I put her down at 7pm every night and she wakes on cus at 6 am. How can I get her to sleep for an hour longer to have a full 12 hours. She wakes happily in her cot and talks to herself. Is it that impoartant that they have 12 hours at night? 11hrs is actually great! Not every baby sleep 12hrs. Some sleep a little more, some a little less. As long as she is taking enough naps to meet her daily sleep requirements, it's absolutely fine that she has 11hrs of sleep overnight. Thank you. It's nice to have some reassurance that your doing ok! Hi Violet, I have a question about putting your baby down drowsy. I have a 7 week old that if I put down drowsy she pretty much wakes up right away and cries. I know I am suppose to pick her up then but my question is then do I keep putting her down over and over till eventually she goes to sleep. It seems like I would be making her upset a lot. Please help. I would like to have good sleep habits with her. I rarely see this mentioned but thought it was worth it. We sleep trained our son according to a book which suggested fathers be the one "handling" the baby while sleep training, stating that it would work quicker and much more easier. When our son was like 8 and a half months old and was waking up every hour to 2 hours we just couldn't take it and we used the self soothing method from a lifesaving book called "Every child can learn to sleep". Kinda hard book to find but well worth it. Same issue as Cardoza above. 11 week old that has never been able to fall asleep on her own. I've resorted to rocking and co-sleeping as she wakes up the minute she is put down. I tried sleep training only once, putting her down drowsy but after 5 minutes she cried and after that every time I put her back down after calming her she would cry instantly. I gave up after 30 minutes. How long do you keep trying when they cry right away? My baby girl is over 3 months old. I know there's a regression at this age, but her frequent wakings started when she was about 8-9 weeks. During bedtime she soothes herself to sleep, i leave her to it, but she won't sleep any longer than 2-3 hours max. I nurse her when she wakes most times and she does actually eat, rarely it seems like a comfort nursing (although it happens too). She used to be able to go 4 hours between feeds and it was great ! She's EBF. She's been sleeping in our bed and I want to move her to a cot by the time she's 6 months. I'm just not sure how it's going to work if she's waking so often even now when she's sleeping with us? Even though she's soothing herself to sleep at bedtime, she's not doing it during the night. This is the part that needs work. My son is 2 months old and I was curious what my expectations should be about his sleeping/waking to feed? We have gotten him into a very strict routine, bath, bottle, bed all by 9:30 (at the very latest) every night; he also sleeps in his own room in his crib (he has since about 5 weeks). Some nights, he will sleep until 3AM! But others, he will only make it to about 3-4 hours waking up wanting to feed. He typically eats about 4oz every feeding, but some of these waking feedings he only eats about 2oz. Is this him waking up soothing himself, or is he really hungry? Every baby is different, especially at this young age. Some are only sleeping 3-4hrs before needing a feeding, while others are sleeping longer stretches, it just depends on many different factors. If you know he can already make it to 3am, I would use that as a guide as to how long he can sleep without a feeding. Good luck! Please let me know there's anything else I can do! My baby is 11 weeks old and ive been rocking him to sleep since 2 weeks old due to bad gases ( im first timw mom didn't know this would be that difficult). Ive tried putting him down drowsy and he springs right up and becme completely alert and other times will start screaming. Do i pick him up and try it again until he falls asleep or what should be done? Is he too young to understand yet at that age? I don’t know what to do anymore. My nearly 5 month old is so chronically overtired I can’t enjoy him and I’m not coping. He is rocked/bounced to sleep now he wakes up after 30 mins and won’t settle he’s either hyperactive or screaming. Screams in his pram. I literally have no life as I’m home selling him. I have 2 other children so I’m desperate to fix this. He will stay awake screaming on and off up to 3 hours in the pram if I let him! Then crash and wake after 10/20 mins. Please hel me. My 8 week old is constantly fighting sleep. She gives very little cues during the day that she’s tired, so I have been taking her up to nap every 1 1/2 hours. She is so clearly tired, but fights it. Hard. I rock her go sleep until she stops fightIng her eyes closing. Anything I can do differently? Also, she sleeps pretty well at night. Bed time is 7:30, but will wake consistently every 2 1/2-3 hours, and wakes screaming. She will drink an entire 3 oz bottle and go back to sleep, but after reading your article about why they wake up screaming, I’m doubting myself that she’s waking to feed… any advice? Hi violet so my 2 month baby hardly sleeps sometimes there’s ocasiones where she goes to sleep until 5am or 6am i am doing wrong because I give her the breast so she can fall asleep which I know is not so good but if I don’t do that she starts crying. And when she’s sleepy I rock her and then set her down and she wakes up!